Many Australians choose to travel overseas to countries such as Thailand to undergo Cosmetic Surgery due to financial reasons. With cosmetic surgery fees in these countries usually averaging half of the cost in Australia, it can often seem enticing. However, is it worth the risk? Let us explore this topic. There is no doubt that there are many internationally recognised cosmetic surgery hospitals in Asia. As well as that, many Australians opting to have surgery there emerge satisfied with the overall outcome. However, there is an underside to having cosmetic surgery done overseas. In recent years, the media has highlighted an ever-increasing number of Australians who have experienced adverse outcomes after having such surgeries overseas. In a majority of cases, the problems have to be fixed back home in Australia since the costs and logistics associated with travelling back overseas for a corrective surgery are significant and practically impossible due to health reasons. To draw an analogy, undergoing cheaper cosmetic surgery in Thailand compares to buying a replica electronic gadget on the streets of Bangkok without a warranty. Simply put, you are taking a gamble. While you can discard a faulty electronic device, you will sadly have to live with the results of a poorly performed cosmetic surgery for the rest of your life. 1- You don’t exactly know who your surgeon is going to be once you are under the General anesthesia. This is true! There are several International Celebrity Cosmetic Surgeons based in Bangkok. Your initial consultation may occur with one of them either in person or via Skype, and you will be confident that the doctor you have consulted with earlier will be performing your surgery. But in most cases, once you are asleep, the actual surgery is performed by one or more of the junior trainee doctors working as employees under that Surgeon. 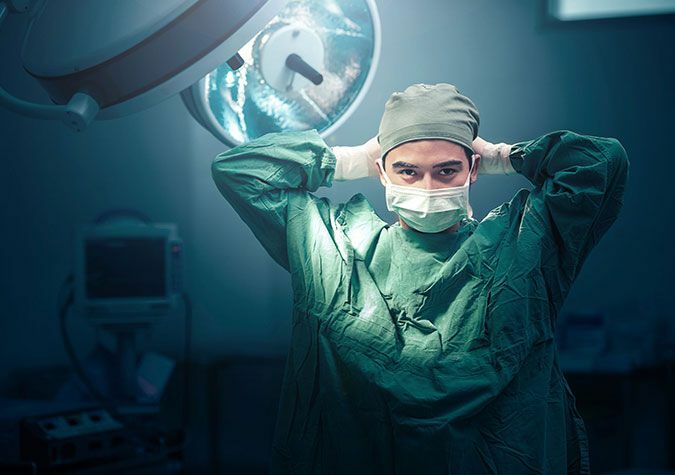 For Bangkok Hospitals, the reason they can offer discounted Cosmetic surgery is that they maximise the use of hospital surgery theatres and staff resources by operating upon multiple patients simultaneously on any given day. It’s the number game. The chief Surgeon who is representing the hospital usually just overseas these operations being carried out in different rooms by junior doctors. The entire process is literally like a fast food chain or commercial meat processing plant. 2- Government Health Departments tasked with regulating the Health Facilities are often poorly controlled themselves. Another unfortunate reality in these developing countries is the weak and incompetent Government Agencies due to corruption. Hospitals anywhere in the world can only be run safely and effectively when strict occupational health and safety laws are in place and are being enforced. This is not the case with many developing nations around the world. It is very easy for a superbug to spread through the entire hospital system. Blood-borne diseases like HIV or Hepatitis C may easily be spread through contaminated instruments or blood transfusions. Hospital Hygiene standards vary from place to place. 3- Every Surgery carries a risk whether done in Australia or Thailand. But undergoing cosmetic surgery overseas increases the risk significantly. This is true. Complications from any surgical procedures can occur no matter how good the doctor is. They happen in Australia as well. However, there are several factors that determine whether surgery is successful or not and one key factor is the patient’s healing ability. Not everyone is a good healer and post-surgical complications arise four weeks to months post surgery. A- Acute or chronic wound infection including cyst and abscess formation. C- Tissue contraction and scarring. D- Formation of keloid scars. E- Contracting infectious disease such as HIV and Hepatitis C due to cross contamination. F- Contracting a super-bug infection such as Golden Staphylococcus which is resistant to most Antibiotics. These bugs are commonly found in the wards and surgical theatres of hospital facilities in most developing countries. There is also a risk of contracting some exotic tropical illness unrelated to the surgery. 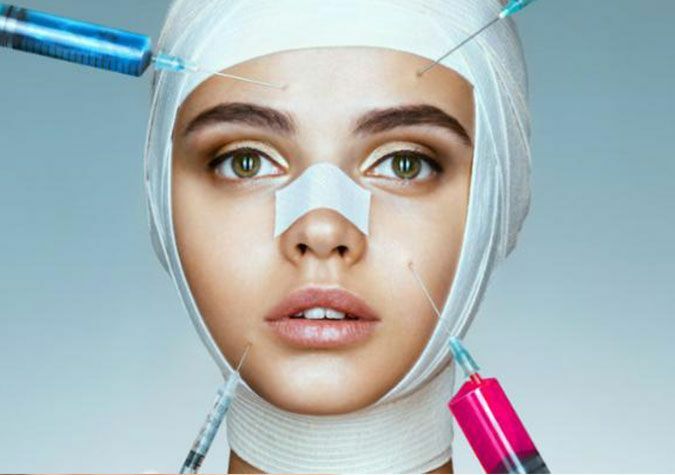 The purpose of this article is not to scare you off from cosmetic surgery but to educate you so you can make a better and informed decision. Once you are under General Anesthesia, you do not precisely know who your surgeon is going to be. This statement is true! There are several international celebrity cosmetic surgeons based in Bangkok. Your initial consultation may occur with one of them either in person or via Skype, and you will be confident that the doctor you have consulted with earlier will be performing your surgery. However, in most cases, once you are asleep, the actual operation might be performed by one or more of the junior trainee doctors working as employees under that particular surgeon. The reason why hospitals in Bangkok can offer discounted cosmetic surgery is that they maximise the use of hospital surgery theatres and staff resources by operating upon multiple patients simultaneously on any given day. Unfortunately, it is the number game. Overseas government health departments tasked with regulating health facilities are often poorly controlled themselves. Another unfortunate reality in these developing countries is the incompetence of government agencies due to corruption. Hospitals anywhere in the world can only be run safely and effectively when strict occupational health and safety laws are in place. However, this may not be the case in many developing nations around the world. It is easy for a superbug to spread through the entire hospital system. For example, blood-borne diseases like HIV or Hepatitis C easily spread through contaminated instruments or blood transfusions. Hospital hygiene standards will always vary from place to place. Every surgery carries a risk whether done in Australia or Thailand. However, undergoing a cosmetic surgery overseas increases the risk significantly. This statement is also true. Complications from any surgical procedures can occur no matter how skilled the doctor is. Surgical complications can happen in Australia as well! However, several factors determine whether the surgery is successful or not and one key factor is the patient’s healing ability. 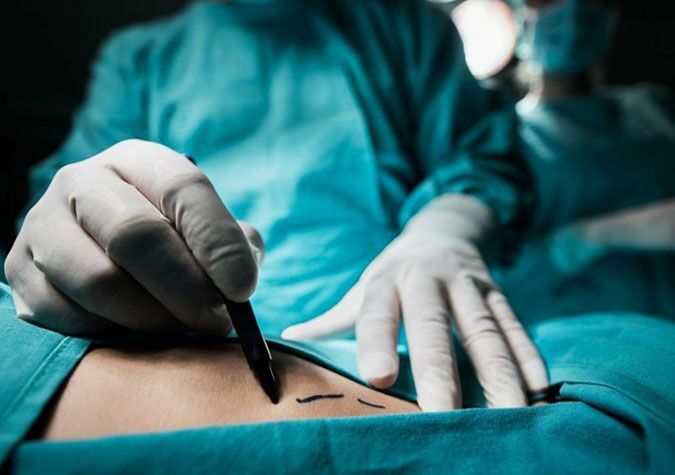 Not everyone is a good healer, and post-surgical complications can arise four weeks to a few months after the surgery. A - Acute or chronic wound infection including cyst and abscess formation. C - Tissue contraction and scarring. D - Formation of keloid scars. E - Body’s rejection of the implant. F - Contracting communicable disease such as HIV and Hepatitis C due to cross contamination. G - Contracting a superbug infection such as Golden Staphylococcus which is resistant to most antibiotics. One might commonly find these in the wards and surgical theatres of hospital facilities in most developing countries. There is also a risk of contracting an exotic tropical illness unrelated to the surgery. The purpose of this article is not to scare you off from cosmetic surgery, but instead, to educate you so you can make a better and informed decision. If you are considering going to Thailand for your cosmetic surgery, please come and see us first for your obligation-free consultation.